Well, I’d love to share the recipe. I’m not so good about sharing these delicious oven fries. The beauty of this recipe is the seasonings. You can season the potatoes however you like. If you love creole seasoning you can use it. If you want roasted rosemary oven fries you can also do that. Season these to compliment the main course or your own taste buds. I typically use spices similar to the ones I list in the recipe, but I change it up here and there. Just try to keep the spices proportional to what I use. Some of the spices come off during the tossing and baking stages. Also, you can always add more spices. You can’t really take them off. 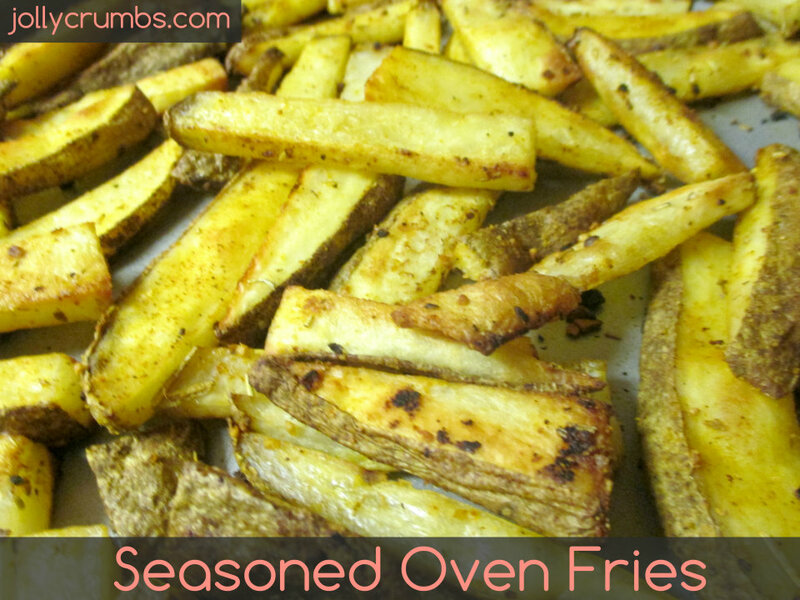 This recipe is simile, but it yields crunchy, soft, and perfectly cooked oven fries. I have loved this recipe for years, and I hope you do too! This is honestly the easiest side dish I’ve ever prepared. It doesn’t require a lot of real steps, and it more so resembles prep work than actual work. 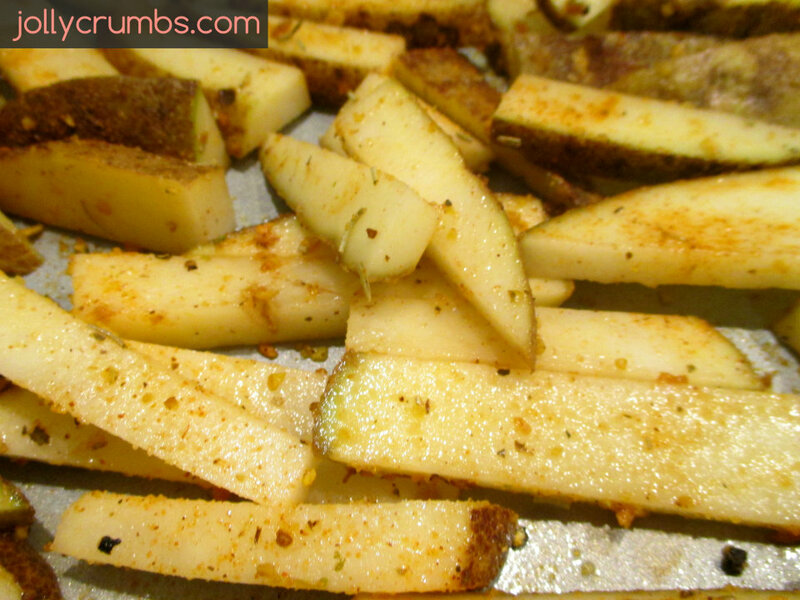 The first thing you need to do is chop up some large russet potatoes into wedges and fries. 3 large russet potatoes gave us about four servings, but you can chop up as many or as little as you’d like. You can cut these however you would like, and I’ve done them many ways. There is no wrong way to cut the potato for this recipe except for maybe into little chunks. This is how I cut them for this particular recipe: quarter the potato so you have 4 chunks from one potato. Cut each quarter into wedges and slices. If the slices are too big, cut them again to form french fries. Some of this depends on the size of your potato as well. Just make sure to have similar sizes of cut potato so they cook evenly and are all done at the same time. The second step is to put the potatoes in a large bowl, and spray the potatoes with nonstick cooking spray. This will adhere the spices to the potatoes while they bake. You can also use oil and toss the potatoes into that. I have done that method as well (pre-counting calories days). I like to use nonstick spray in this recipe because it doesn’t add calories to the potatoes and you don’t taste the spray. You only taste the potatoes and spices. Once you spray the potatoes or toss them in oil, add the spices. Again, use whatever spices you like best. Add whatever spices you want and toss the potatoes in them so each potato can get some spice. The potatoes don’t need to be coated, just make sure the potatoes seem to have some spice on them. You can always add more later, so try to go less than what you think is necessary. Once your potatoes are seasoned, spread them onto the prepared cookie sheet. Bake for 30 to 35 minutes, turning the potatoes halfway. Depending on how thick cut your potatoes are, adjust your time. I had a few thick cut ones, so mine baked a little longer this time. These oven fries are delicious. If you haven’t made a version of these before, I highly recommend you try these. I have made this recipe with baby red potatoes too, adjusting the cooking time, and it was also successful. These go along with so many main dishes. I love these potatoes so much. They are better than store bought or frozen seasoned fries by far. I’ve had people request these potatoes before. They are that good. Preheat oven to 450°F. Spray a large cookie sheet with nonstick cooking spray. 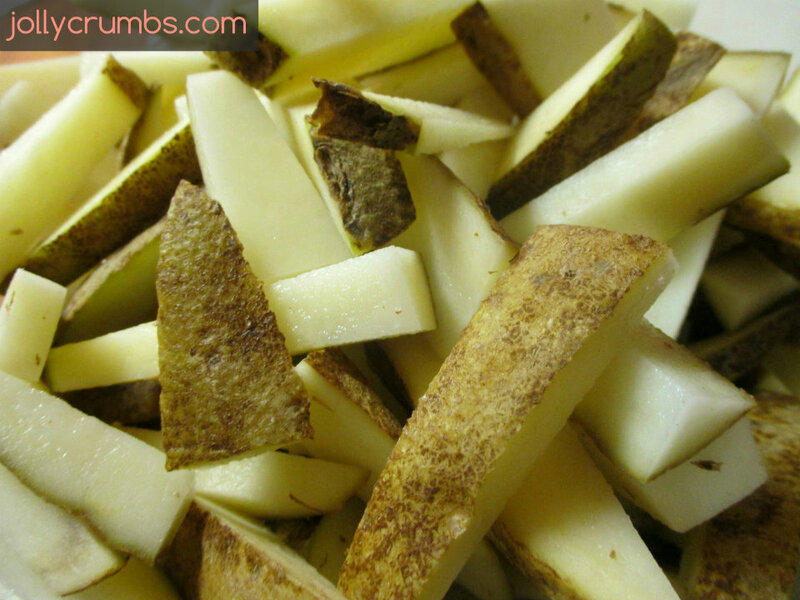 Cut potatoes into wedges, strips, fries, or however you would like to cut them. I did a mixture of wedges and thick fries. (I quartered the potatoes, and from there I cut the potatoes into wedges and thick fries.) You want approximately the same size of cut potatoes so they cook evenly. Spray the potatoes with nonstick cooking spray (you could also coat them in any oil of your choosing). Then toss them with the spices. I listed the ones I like to use, but feel free to use whatever spices you would like best. Place the potatoes on the prepared baking sheet. Bake for 30 to 35 minutes, turning potatoes halfway through baking. You may need to cook longer or shorter depending on how you cut your fries. We love these! I have made them twice. They are allarso tasty and go great with hamburgers. Glad they are a hit!